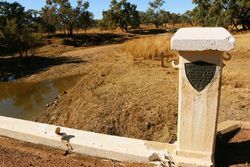 The original Barcoo River Bridge at Isisford was built in 1928 to commemorate those from the isisford Shire who fought in World War One. 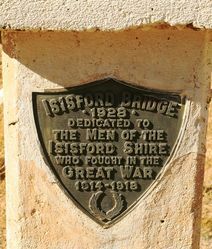 The bridge was dedicated to soldiers of the Shire who fought in the Great War. The dedication ceremony was performed by the Reverend Hoog of Blackall on the 30th September 1928. The bridge was officially opened by Mr.F. 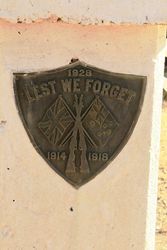 Bulcock M.L.A. 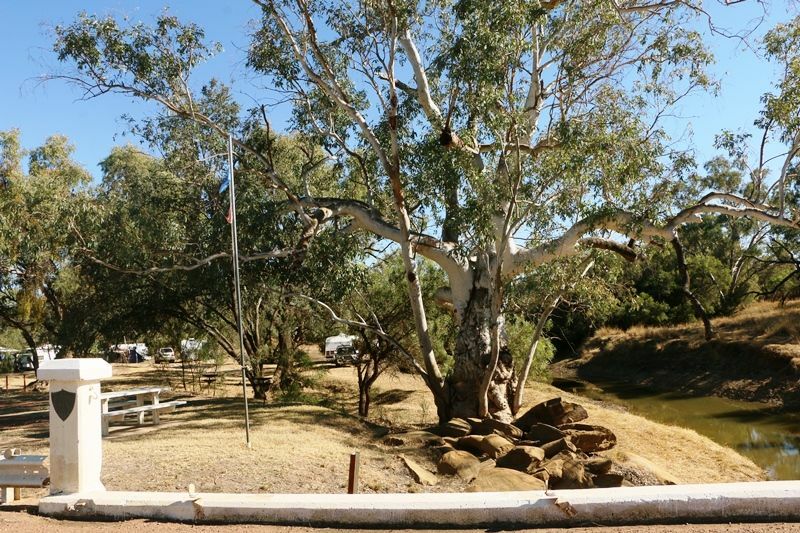 who had travelled from Brisbane at the invitation of the Isisford Shire Council. Mr Bulcock cut the ribbon being held by Miss Ruth Bulcock and Miss Margaret Hooper and the returned soldiers present marched across the bridge followed by the Chairman and Councillors and about 40 cars and the public. The Western Champion (Barcaldine), 13th October 1928.